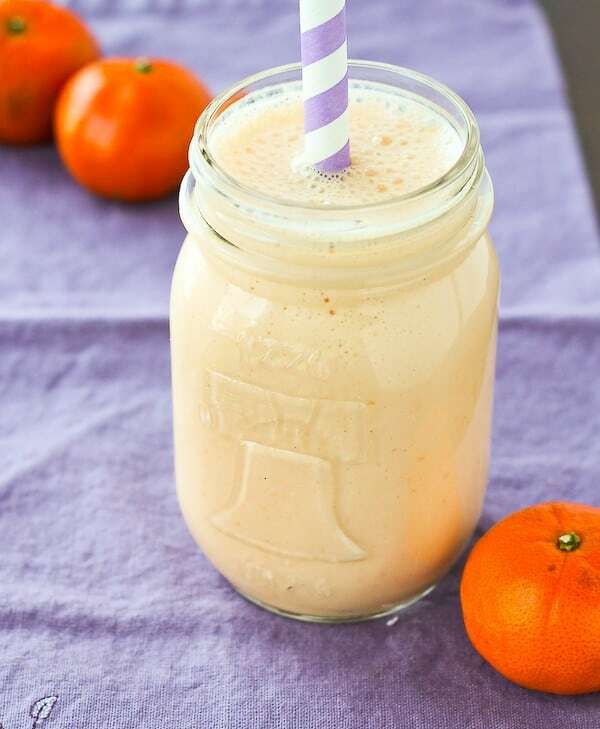 This clementine smoothie is creamy, delicious, and uses ingredients that you probably have on hand. It tastes just like an Orange Julius or a creamsicle! I think I’m fully and completely in summer mode. I haven’t quite gotten Michigan on board with this whole idea yet, buuuut I’m working on it. A little bird (aka my neighbor who checks the weather religiously) told me that Tuesday is supposed to be warm. Tuesday being yesterday because I’m writing posts ahead. Confused yet? I am. To help us make our way through the muddle of the never-ending Michigan winter, we’ll bridge the gap with this pretty pale orange smoothie. It is bright and sunshiny to remind us that warmer days are ahead. But, it makes use of the clementines we’ve been eating all winter long. I know you have a crate sitting on your counter. 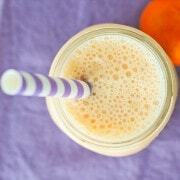 This smoothie uses three of those bright orange flavorful clementines. And then of course lots of great vanilla flavor. You already know the vanilla and orange (or clementine) combination is one of my favorites. I’m going for the orange creamsicle flavor here. Need proof that I’m obsessed? And now something you can sip on! Add more ice if you like it thicker and blend again until smooth. Note: If you don’t have/can’t find vanilla bean paste, you can substitute vanilla extract or the pulp of a vanilla bean. Verdict: Loved this refreshing smoothie. Taste of summer! Husband’s take: I’m not sure he’s tried this yet! Sorry babe. Looking for more refreshing beverages? Try: Raspberry Mango Coconut Water Smoothie, Carrot Orange and Ginger Juice (no juicer required! 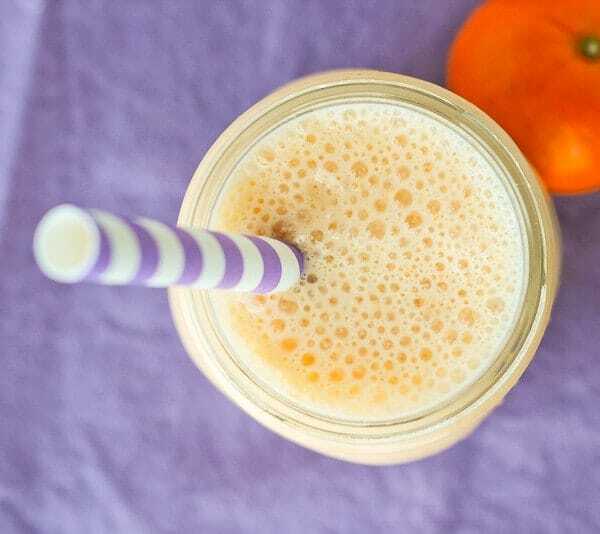 ), Creamy Mango Smoothie, Strawberry Watermelon Slushie, Peanut Butter Chocolate Banana Milkshake, or this Blood Orange Mango Smoothie from Fabtastic Eats. If you’re still looking for more, I compiled a list of FIFTY juice and smoothie recipes. 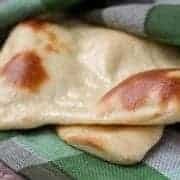 can i make this using normal vanilla yogurt instead of greek? I had some clementines left so threw 3 in the blender with ice, my almond coconut milk and vanilla Greek yogurt. Didn’t have vanilla bean but thought it’d be vanilla enough with the yogurt. The pulp in the Clem’s just wasn’t good even though I blended it throughly. Wasn’t a strong enough orange flavor for me either. Since I altered your recipe, it wouldn’t be fair to rate it….unless others also don’t like pulp in their drinks! Hi Dia! It could have something to do with your blender. I have a very high speed, powerful blender. Sorry you didn’t love it! Never thought of using clementines, looks absolutely divine! I am sorry about your winter, but it DID inspire you to make a great smoothie. So refreshing and very very spring like in mood. You did good! Fingers crossed that you get your warmer weather! We’re in SF so no complaining here, but my weeks in NYC this winter for work were colder than cold. This bright smoothie looks like just the trick to brighten your day. That looks yummy. It reminds me of an Orange Julius. My daughter would LOOOVE this…and so would I! This is going to be bookmarked for summer gatherings for sure! Creamsicles are my favorite and this smoothie looks divine, Rachel! What a great and innovative way to use up those clementines that yes, how’d you guess? !, are on my counter. Pinning! Clementines are my husbands favorite! These sound so refreshing, I’ll be making them for sure! I feelin the summer vibe with this smoothie and I love that flavor combo too!! So refreshing! Oh, a fellow Michigander – I’m definitely ready for the sun to come out and stay out, these weeks with 60 degrees one day and 30 the next are killing me. 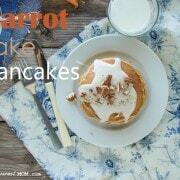 I’m going to give this a try with cashew cream in place of the yogurt, I think it can work! I am in summer mode as well! I live in the north east area and these winter months have been brutal. 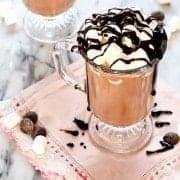 This is an easy and delicious smoothie I will include throughout the warmer days :-) your pictures are amazing by the way! I totally feel so ready for summer so I can relate. I adore smoothies and have them almost everyday. This just went on my must try list!